Meltdowns are something Autism Parents are quite used to. They’re much different than a normal tantrum, though we autism parents would prefer a tantrum versus having to handle a meltdown, especially in the store. Honestly, I don’t mind a meltdown at home, as I can readily handle them. But I cannot handle one as easily in the store. What’s worse is all the stares and rude comments from all the those lurking around when my daughter has a meltdown. Anything can start one and it’s mostly from her not being able to handle a situation. 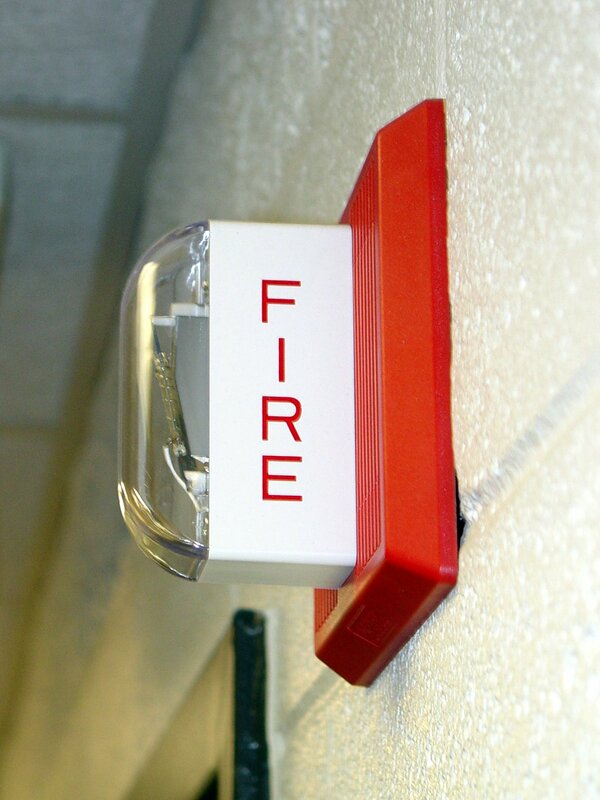 For instance, when her school first started practicing fire drills, any time my daughter would see a red fire alarm, anywhere, she would panic. It would lead to screaming and crying, fire, fire, get out, get out. I try to calm her by telling her that the fire alarms aren’t working, rarely does that help, but it’s worth trying. I try to hold her, hug her, use soothing words to try and calm her, all the while moving to another aisle so that the fire alarm is out of sight. Then, point out all the cool things around us, like a neat toy she may like. Distraction works best, most of the time. Meanwhile, people begin to swarm in, pointing, talking amongst themselves, staring at us. The best way for strangers to handle this situation is to move on. It doesn’t help that parent at all to point and stare. It adds stress to the already embarrassing situation that parent is having to endure at that moment. I was in the check out lane one day, when my daughter started to heave a meltdown. The checker didn’t hand her a toy fast enough, plus it was in a sack. The checker looked at me awkwardly as I said, “it’s okay, she’s just having a moment, it’s just something children with autism do.” Her reply made me frown, “I thought all kids do that.” Yes, and no. What’s worse, an older gentleman behind me began to giggle at my daughter’s outburst. I did my best to ignore him and held my tongue. When we got outside my daughter’s meltdown grew worse as she started to toss things out of the buggy. I can only pray that we get to the car without being hit by someone speeding through the parking lot….it does happen, even right outside the doors of the store. At home, her kicking and screaming turns into her jumping up and landing on her knees, to banging her head on the floor or anything that she can hit her head on. Usually I let her kick and scream, but when she starts banging her head, I’ll scoop her up and rock her in the rocking chair. Her meltdown may last from a few minutes, to hours, but I’ve noticed that the rocking does help. This entry was posted in Autism, Blog and tagged anthropology, ASD, Author Jennifer Adams, author Jennifer N Adams, Autism, Autism awareness, autism parents, autistic children, blog, blogging, children, children with special needs, children's books, kids, meltdowns, mom, moms, mothers, my daughter, parenting, parents, sensory processing disorder, single mom, single moms, single parent, single parents, SPD, Special needs, special needs chilldren, special needs kids on March 8, 2015 by JenniferNAdams. Hey jen. Great reblog. Seems like its almost every other day with us. It’s been every day here for the past few months since we’ve been having to miss school due to the weather.